Check out these fun and inspiring summer camps in Atlantic County, NJ that will keep them mentally engaged and learning all the way till next year! No, your kid isn’t lying to you, it really is summer, which means schools close and the learning stops, right? Wrong! What your child is craving is stimulation, a chance to engage their creative side and explore the world through The best part about summer camps is they have the opportunity to create highly engaging programs that will not only fascinate your children with their projects, but also teach them real-world skills that will assist them in all areas of their lives. 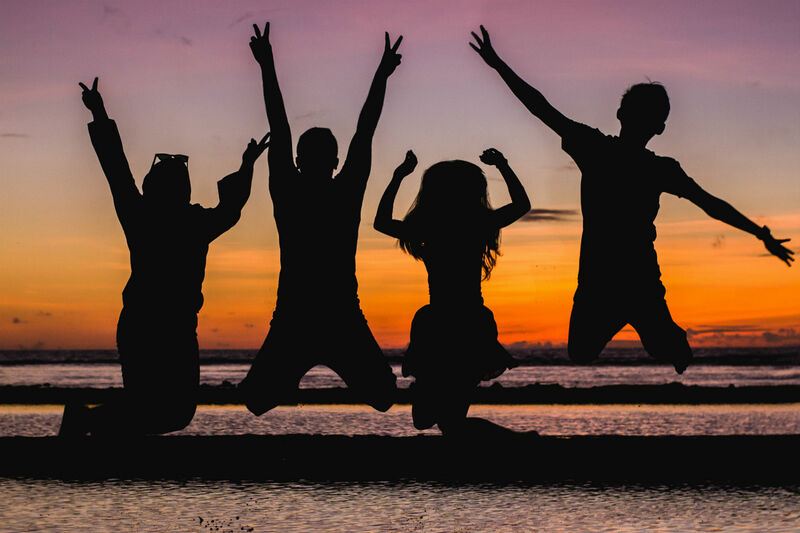 Research has shown that it could improve chances of college admission, and there are persistent academic advantages to regularly attending summer camps. Find one that jumps out and let the wonder and amazement begin! The camps cater to children from ages 1 to 14. Camps run various dates all throughout May, June, July, and August. Check out their event calendar for specific dates. Snapology is a STEM and STEAM focused organization that make it their mission to deliver the best summer programs possible for your child. Their research-informed approach ensures that their campers are learning through engaging, creative activities that will inspire them to see the potential in science and technology. Using products that children already love, like Legos and computers, the instructors use that interest to build teamwork and social skills, along with engineering, science, art, math, technology, and literacy concepts. This is crucial for campers’ futures, especially when data has shown that people working in STEM fields earned 29% more than those in non-STEM fields in 2015. In addition, employment in STEM fields has grown by 24.4% over the last decade versus a measly 4% growth in other job sectors over the same period of time, and STEM employment is predicted to grow faster than other sectors in the next 7 years. Snapology is also a franchise, which means that there are a variety of different locations that can accomodate your travel requirements all year long. The summer camps in Atlantic County offer a few different themes, including robotics camps, video game design camps, and STEM/STEAM camps. There are SO MANY choices that will allow you to choose the absolute best experience for your child: is your child a Minecraft fanatic? There’s a camp for that! What about building robots that are designed to smash other robots to pieces? They can do that too! What if your child is an architect-extraordinaire and wants to build the next structural masterpiece? Let your child build the future (with Legos, thank goodness)! All of their summer camps are amazing, and there are camps that last for a whole week, or just a single afternoon depending on your needs. For a week-long experience the camps are $120, while an afternoon only costs $15. Snapology is built around flexibility and letting growth happen wherever/whenever it suits your child best. For the best summer experience your child could want, check out Snapology today! The Linwood Camp is located at Mainland Regional High School, and the Margate Camp is at the Eugene A. Tighe School. The Linwood camps run from July 9 - 12 and July 16 - 19, and the Margate area only has one camp, from August 6 - 10. Founded by a team of dedicated educators, the Amazinators organization is another camp focused on teaching kids vital STEM and STEAM skills through hands-on projects and experiments. The group was born out of an experience two years ago when the founders, Jennifer Bernardini, Cindy O’Kane, and Gina Wenzel got together to do a tech girls night out, and the interest was so extraordinary they decided to kick it into high gear. Thus, the Amazinators were born, and they’ve been providing hands-on learning activities to campers in southern New Jersey ever since. From using Lego Mindstorms robots to navigate an obstacle course, to building gingerbread houses and then building catapults to destroy them, to building foam weapons and siege machines to storm an enemy castle, this experiential summer program is centered around using innovative problem-solving to build knowledge and have fun. Unfortunately, the Linwood camp doesn’t seem to post their schedule online, so you won’t know exactly what’s happening until you get to the camp; however, you can rest assured that the program will be well thought-out and interesting. The Margate camp posted a description of their activities online, and while there are no specifics, it clearly has a STEAM focus with problem-solving skills and creativity bolstered throughout. Testimonials from the previous camps have both campers and parents raving about past experiences, with seemingly everyone leaving satisfied and interested. The Linwood camps cost $275, which could indicate some substantial materials and activities based on the higher cost. The Margate area younger kids camp costs $150, while the older camp is $195. No matter which camp you choose based on your preferences, The Amazinators promises to serve your child an unforgettable, STEAM-powered summer experience. There are four age groups with different camps for each, with ages 3 - 4, 5 -7, 8 - 10, and 11 - 13 being serviced. The camps run every week from June 25th through August 31st. 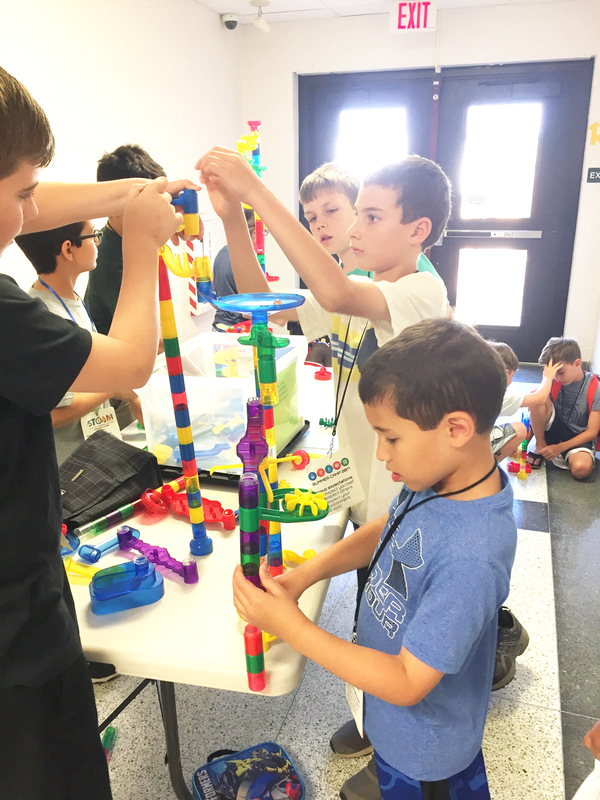 While not solely a STEAM-focused camp, Golden Learning has more than enough opportunities for your child to get hands-on projects that will bolster their innovative thinking with challenging technical problems. This camping extravaganza hosts such varied opportunities as learning the science of baking (through actual baking, hooray! ), to a “Stranger Things” themed camp focused on outrageous and bizarre experiments, to an actual STEM Challenge summer camp explicitly focused on STEM learning principles. This camp also features some important ideas for teens, like a “Life Skills for Teens” week that will teach basic ideas like sewing a button, writing a thank you note, and basic first aid. There are also camps about exploring your roots and ancestry, a camp called “Compassion in Action” that will teach important character traits like forgiveness, courage, gratitude, and, of course, compassion, and a camp titled “Cause an Effect” that allows teens to pursue a cause they are passionate for to develop a real change in their community. While not STEM/STEAM focused, these camps feature important lessons in cultural and social knowledge, and as a former teen, I can attest that these values are invaluable as your young one grows up into a productive member of society. There are also AM and PM classes, and you have the option of choosing a one-day AM or PM class, a whole week of only AM or PM classes, or a whole week of both the AM and PM activities. The activities across the entire summer are staggering, so definitely give Golden Learning a serious look when considering the education you want your child to receive this summer. They have a list of the prices for their various different options on their website. With these three amazing summer camps at your fingertips, your little ones will never be bored again! No matter which organization you choose, you’re putting your child in an engaging and nurturing environment which will encourage their growth; that’s a win in my book.